Don’t think you know enough about our government? Don’t know the differences between a US and State Representative? Or Senator? 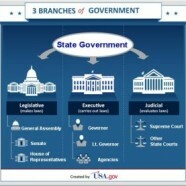 Or powers and responsibilities of Federal, State, County and Local government? What about running for office – how does that work? What about Constitutional Amendments, State and Federal, and what will be on the November ballot? What do various Planning and Zoning boards do and who are they? What about the various political parties, including groups like the Tea Party, and what role do they play? How do you join? What options and rights do you have as a ‘regular’ citizen? Getting ready to vote? What do the candidates know about YOU? What rights do you have with regard to the police? Where do the police get their authority? Can just anybody carry a gun openly in Georgia? What about religious liberty? Can churches ‘preach’ politics? Why or why not? One of the main missions of the Gwinnett Tea Party is education. With that in mind we produced a presentation about everything related to government that we would be happy to present at your group or meeting. The PowerPoint is included below. Feel free to take all or any part of it for your own use with or without credit, and if you would like for us to make the presentation to your group just send us an email at info@GwinnettTeaParty.org. Hi, I am looking into some things and wanted to let you know this link is not working http://www.utpog.com/congress/all-about-government/ .